Several BMW vehicles will be featured in Amazon’s big-budget millennial-friendly series "Tom Clancy’s Jack Ryan." It is the automaker’s first major debut in the streaming world. 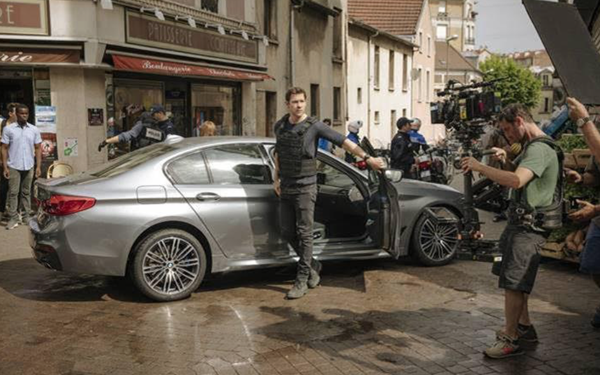 The BMWs will be driven by -- among other CIA agents -- the legendary Jack Ryan, played by John Krasinski in this incarnation of a character introduced in top-grossing novels and film series. The first season will be available exclusively on Prime Video on Aug. 31. Ryan and his CIA colleagues rely on the support of several BMW vehicles. Driving the BMW 540i xDrive sedan, the CIA agents are always one step ahead of their foes. The all-wheel-drive system xDrive also provides Ryan with traction in extreme conditions, as illustrated by a dramatic car chase through the snow. “The car a character associates with tells you about who they are, and who they may become; because of this, we felt BMW was a perfect fit for Tom Clancy’s Jack Ryan,” says Michael Benson, head of marketing for Prime Video, in a release. “BMW has set the bar for excellence in driving for decades: We share the same vision for Prime Video."